Sci-fi films are having a pretty solid year as far as box office receipts go. Guardians of the Galaxy became the first movie of 2014 to top the $300 million mark domestically, and Transformers: Age of Extinction somehow crossed the billion dollar threshold internationally. Then there are the likes of Godzilla, Dawn of the Planet of the Apes, Teenage Mutant Ninja Turtles, and The Maze Runner, which al performed well in theaters. And we still have what could be two of the biggest on the way, Christopher Nolan’s Interstellar and The Hunger Games: Mockingjay—Part 1, and if the latter follows the same path as its predecessors, we may very well be talking about the highest grossing movie of the year. To make sure that happens, Lionsgate is pumping their movie mercilessly, including this new collection of stills. As expected, Katniss Everdeen (Jennifer Lawrence) and Peeta Mellark (Josh Hutcherson), the star-crossed young lovers of the franchise, have been at the center of much of the hype. These photos, however, take another approach, showing off some of the characters that, while important parts of the story, definitely fall into the secondary and supporting categories. These all come via the film’s Instagram account. We truly live in a magical age. Despite the fact that it is probably the most highly-anticipated movie of the year, that doesn’t mean that Lionsgate is going to skimp on the promotion for their upcoming The Hunger Games: Mockingjay—Part 1. 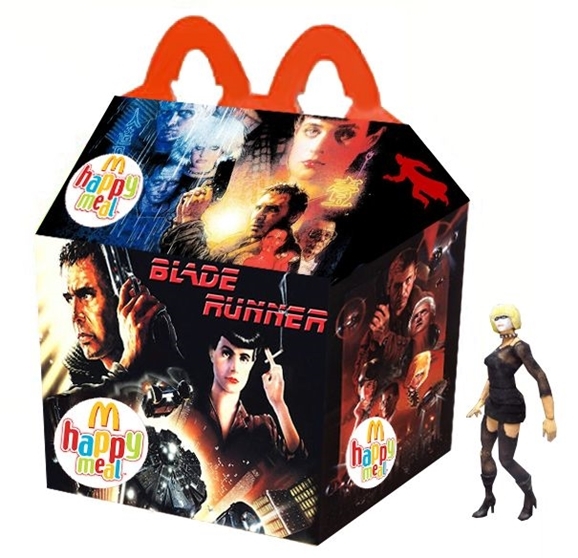 One thing that the franchise has always done well is make use of a nontraditional marketing strategies, often employing a viral, almost propaganda-style approach, which, if you’re familiar with the books or movies, provides a definite thematic link. Earlier this year they used the interactive HungerGamesExclusive website to introduce Julianne Moore’s President Alma Coin character, and in conjunction with the new trailer that dropped this week, they’ve updated the page with a bunch of new material. After a flaming opening page, which still looks like the Burger King logo to me, you can dive right into the expansive site. The more you dig, the more fresh information you’re going to come across. It not only examines the movie itself, but also the actors and people involved in bringing the world of Suzanne Collins’ best-selling young adult novels to life on the big screen. We fully expect The Hunger Games: Mockingjay—Part 1 to be one of the biggest movies of 2014, if not the biggest, and it’s certainly one of the most highly anticipated. An incredible new trailer dropped earlier this week, and while it’s super intense and epic in scope, it really only appeals to already existing fans, who honestly, are already going to see this movie even if there was no advertising at all and it only released to a dozen theaters. This new video aims to open up their viewership a bit by taking a totally different approach to marketing this movie. This clip comes from Jimmy Kimmel Live, and reimagines The Hunger Games as a breezy romantic comedy called Cupid’s Arrow. As the talk show host says, it’s designed to attract an audience who might not otherwise be interested in a movie about teenagers murdering each other, and they hit all of right romcom notes. And with the love triangle subplot between Katniss (Jennifer Lawrence), Peeta (Josh Hutcherson), and Gale (Liam Hemsworth), a quick editing job, some voiceover, and a jaunty, familiar tune, show just how close this is to being a totally different movie. We may be two-thirds of the way through the years, but November will still see the release of two of our most highly anticipated sci-fi movies of 2014. First up is Christopher Nolan’s Interstellar, which looks gorgeous, thematically rich, and basically fantastic in every way a movie can look good. And at the end of month, a YA juggernaut returns, with The Hunger Games: Mockingjay—Part 1. The first part of the final chapter, the film opens everywhere on November 21 (Part 2 follows a year later, November 20, 2015), and to hype the film, which barely needs it at this point, Lionsgate has release a new collection of stills. After making her escape from the Hunger Games arena—okay, other people rescued her more than she escaped on her own—Katniss Everdeen (Jennifer Lawrence, now the highest grossing female action star ever according to the Guinness Book of World Records) finds herself in District 13, the seat of the revolution against the Capital, a place that everyone else thought was destroyed long ago. 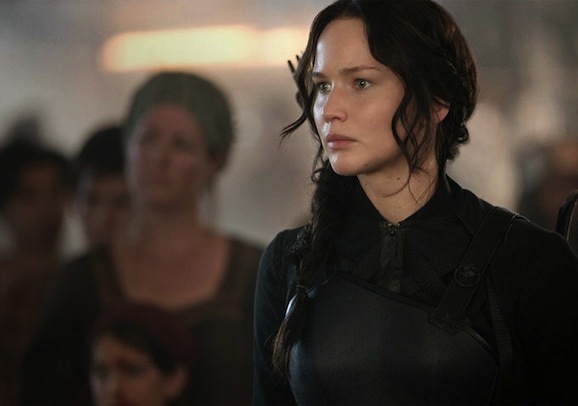 There she must deal with the trauma she’s endured, stand up to the pressure of being the public face of the rebellion, navigate treacherous political waters where she’s just as valuable dead as alive, and figure out a way to rescue Peeta (Josh Hutcherson) and try not to break Gale’s (Liam Hemsworth) heart in the process. It’s going to be a tricky time. Marvel’s Guardians of the Galaxy may be the highest grossing domestic movie of the 2014, topping the $300 million mark over the weekend, but most of us don’t really expect it to finish the year in that position. It’s possible that Christopher Nolan’s highly anticipated Interstellar could knock it out of the top spot, and then there’s a little movie franchise called The Hunger Games that you may have heard of. The first part of the final chapter, The Hunger Games: Mockingjay—Part 1, opens this November, and considering that the films have done little more than straight up print money for Lionsgate, most of us expect this installment to continue the trend. Cumbersome title and all, a new trailer for the film has just dropped into our laps. It may be less than two minutes long, but this video is epic as all hell and might just send shivers down your spine. The last book in Suzanne Collins’ trilogy of young adult novels (which Hollywood, as is their thing now, split into two movies), Mockingjay is the weakest link, but from what we see here, the movie looks like it does a strong job of capturing the look and feel and scope of the events of the conclusion of the saga (or at least the first half of it).